Can you hide a major stadium and two indoor arenas from public view? Well, almost. 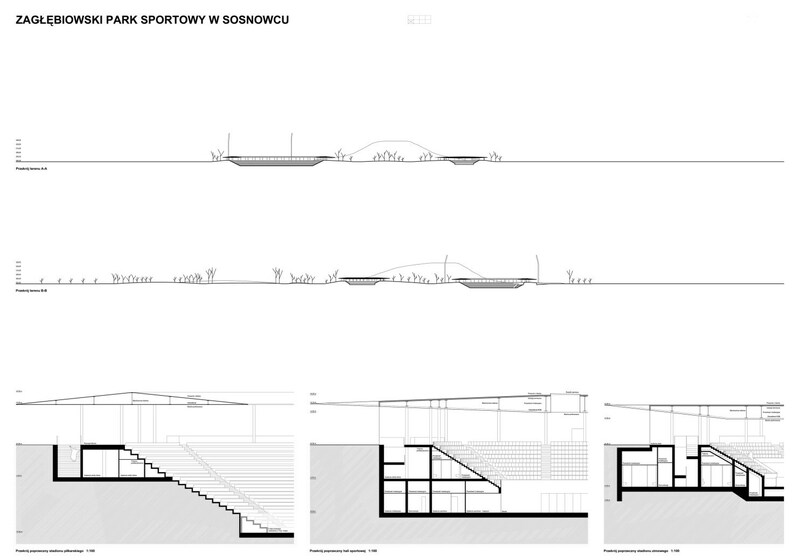 A very interesting attempt was created by JRK72 and Jojko+Nawrocki Architekci. 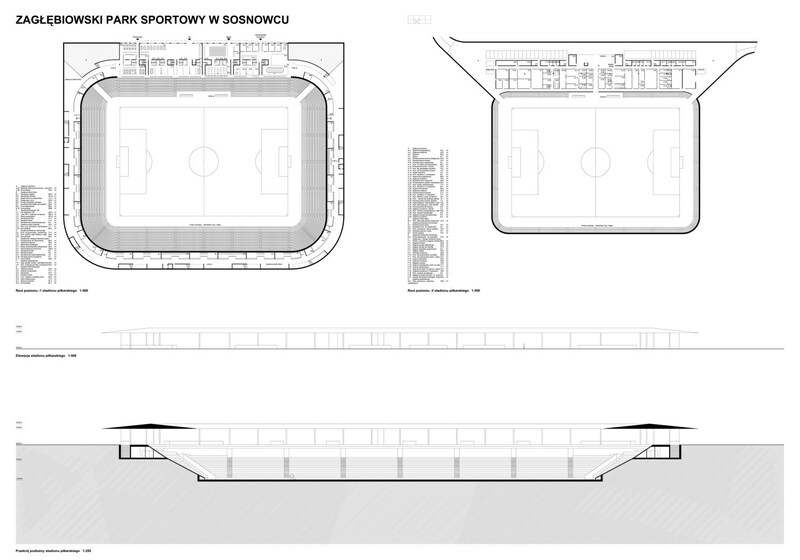 The architects suggest hiding all three venues in sunken bowls that would have only the last row on ground level. This means just the ‘levitating’ roofs would be visible to fans outside. One thing that wasn’t avoided are floodlight masts of the stadium standing out in the landscape. 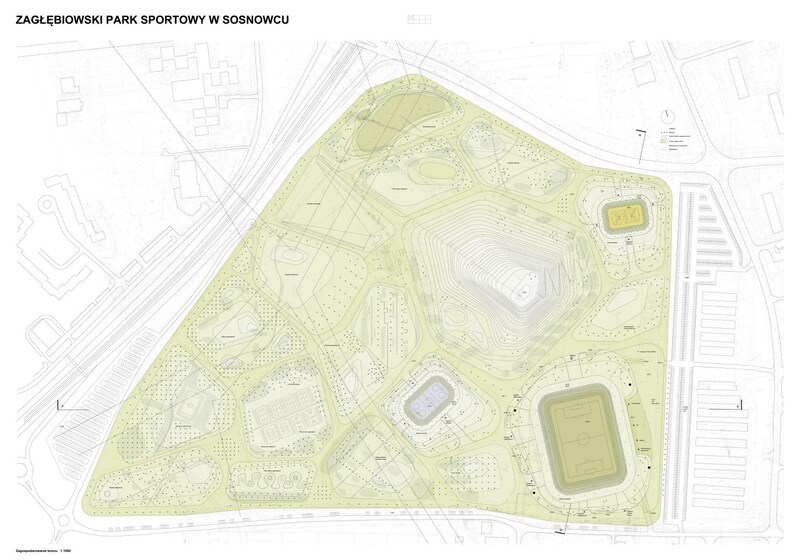 The complex planned next to Górka Środulska in Sosnowiec will comprise a football stadium (12,000 seats + 3,000 in future expansion), indoor arena (3,000 seats) and ice rink (2,500). JSK Architects were selected as winners of the competition. 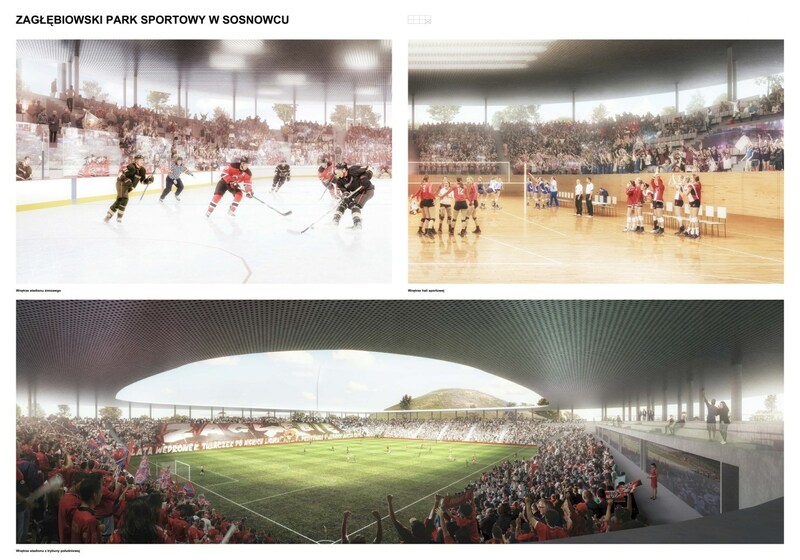 We have all the finalists, including the winning design for new sports complex in Sosnowiec. 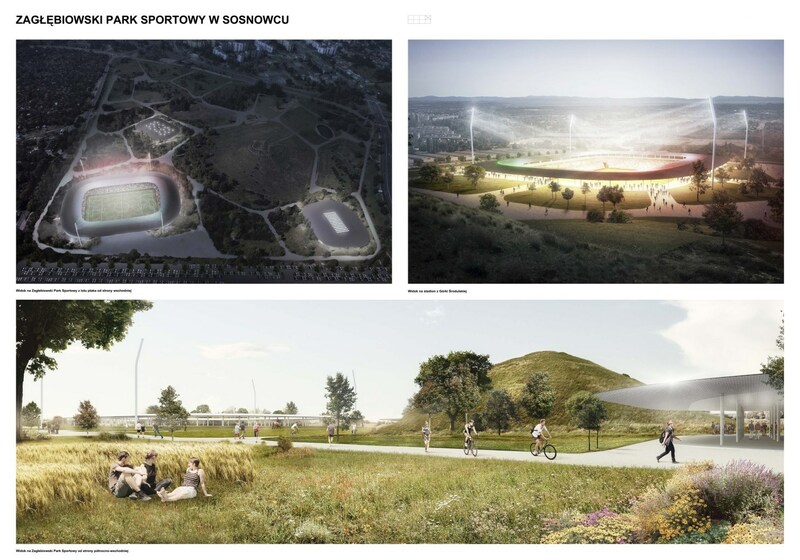 By 2019 we may see it built and it would be among Poland’s most beautiful stadiums.